This article originally appeared in the Tennessee Bar Journal, November/December 1998 – Vol. 34, No. 6. Reprinted by permission. All rights reserved by Tennessee Bar Association. 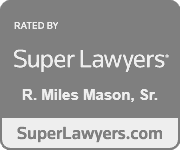 The constant flux of income tax law often creates landmines for taxpayers that may explode into malpractice claims against lawyers if they do not warn the client of their existence. Yet maintaining expertise and providing technical advice on tax issues, if a lawyer’s primary practice lies elsewhere, would require an unreasonably large time commitment. This article highlights the more important tax issues for attorneys drafting marital dissolution agreements (MDA). Included here are common tax issues where family law attorneys have an opportunity to provide general tax advice, as well as those situations where attorneys should make a referral to a tax professional in order to avoid malpractice claims. An important opportunity for the parent having physical custody is the possibility of filing as Head-of-Household, instead of as Married-Filing-Jointly or Married-Filing-Separately. The benefits of obtaining Head-of-Household status are significant. The client will achieve a higher standard deduction, a lower tax bracket, and eligibility for certain tax credits. It is important to note that there are always exceptions to these requirements. The client should hire a CPA to review the return and determine whether any exceptions apply. However, filing as Head-of-Household is almost always worth the extra effort. In this situation and others, to preserve the attorney-client privilege, the attorney might consider hiring the CPA directly. One of the best examples of assets with significant unrecognized gain in divorce is stock. If the parties have jointly owned stock for a number of years and the stock has experienced a significant increase in value, there is a hidden tax impact for the recipient of the stock upon divorce. Although the transfer of the stock at the time of the divorce may not have an immediate tax impact, the sale of the stock triggers potential capital gain tax. Without proper planning, the effect could cause significant cash flow problems to the client. Therefore, when a client has an unrecognized gain situation, strongly advise that he or she seek professional tax assistance. Repealed by 1997 Taxpayer Relief Act. See NEW, below. If the parties intend to retain joint ownership of the marital residence and sell the property subsequent to the divorce, the old tax laws no longer apply. When the parties transfer U.S. Savings Bonds, the transferor must report accrued interest for the current tax year on his or her tax return. The transferee reports the interest thereafter. Special tax rules apply to passive activities. Income and losses for passive activities most commonly appear on Schedule E tax returns. Common examples of passive activities are property rental, partnerships, S-corporations, and trusts in which the taxpayer is not a material participant. If there are significant gains or losses from passive activities, strongly advise your client to consult a tax professional on special rules for these activities and the effects of an MDA on future tax returns. Remind clients to file new W-4 forms with their employer reflecting their change in status after the divorce. 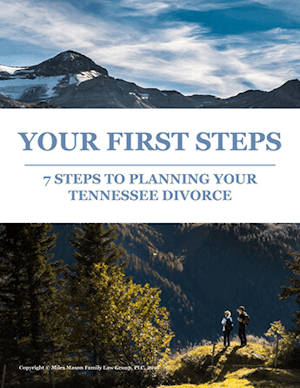 Advise clients receiving alimony for the first time (even pendente lite) that they may be required to make estimated tax payments before the divorce in order to avoid underpayment of taxes and resulting penalties. Every family lawyer should have a working relationship with a CPA and a tax attorney. Their advice may improve the quality of your representation of clients. In addition, they are an excellent source of referrals. Before returning a draft or revised version of an MDA to a client, consider writing a letter documenting the fact that you have strongly suggested the client obtain the services of a tax professional to review the MDA before the client signs it. Such a letter may or may not affect a possible malpractice claim, but it is a helpful precaution. Overall, developing a working knowledge of the basics of divorce and separation income tax law can help a family lawyer’s practice by protecting the firm from malpractice claims and by providing an added service that clients will both appreciate and remember. Taxpayer Relief Act of 1997; H. R. 2014 signed by Pres. Aug. 5, 1997. “If a divorce settlement may later require a claim against the payor spouse’s estate, the agreement should be expressly conditioned on court approval. Deductibility of claims arising from the transfer will then be assured because they will be based on the court’s decree, rather than a promise or agreement that must be supported by full consideration before they’re deductible.” Reprinted with permission from Tax Aspects of Divorce and Separation at 32, by Research Institute of America, 90 Fifth Ave., New York, NY 10011. For more information about RIA services, call (800) 431-9025, ext. 4; IRC S71 (a); IRC S215(a). RIA, supra, note 8, at 11; Rev. Ru1.70-218. RIA, supra, note 8, at 21; IRC S6305; Reg. S301.6305-1. IRC S121 (as amended by Taxpayer Relief Act of 1997 S312(a)); IRC S1034 (repealed by Taxpayer Relief Act of 1997 S312(b)). 18. IRC S212; Reg. S1.262-1 (b)(7). 19. U.S. v. Gilmore, 372 U.S.39 (1963). 20. IRC S408(d)(6); Reg. 1.408-4(g); see also IRC S219(f)(1). 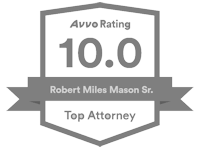 Memphis family lawyer, Miles Mason, Sr., JD, CPA, practices family law exclusively and is founder of the Miles Mason Family Law Group, PLC. 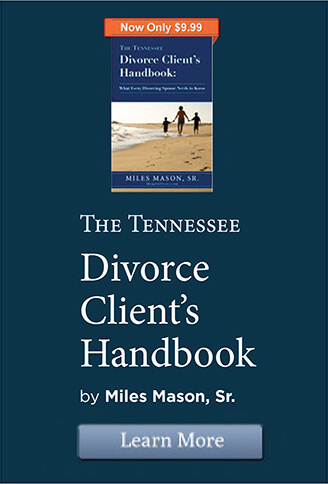 Miles is the author of The Forensic Accounting Deskbook: A Practical Guide to Financial Investigation and Analysis for Family Lawyers, published by the American Bar Association. Reprinted with permission. Copyright 1998 © Tennessee Bar Association 1998.